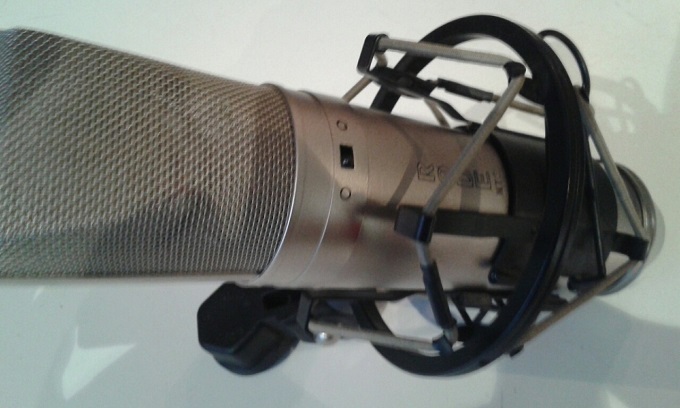 NT2, Large diaphragm condenser microphone from RODE. 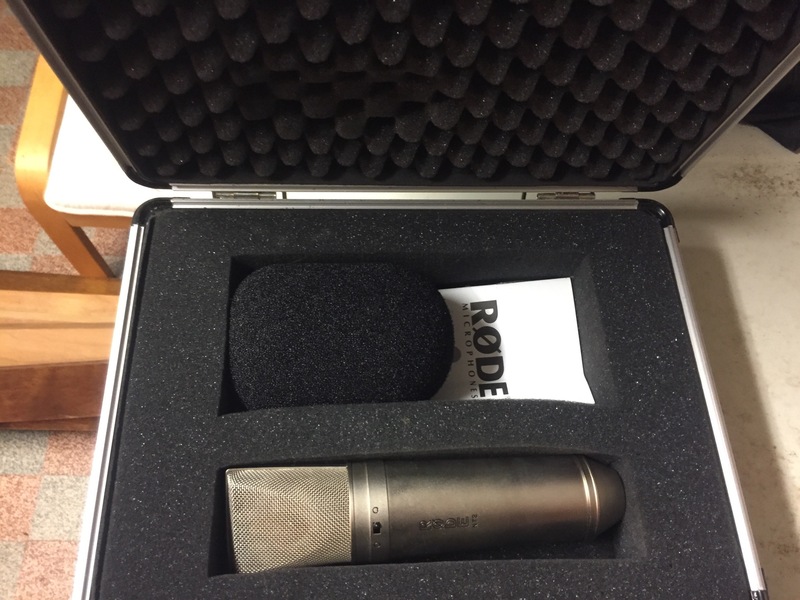 tarrtime's review"Decent quality, emphasized high frequencies"
The Rode NT2 is a cardiod condenser microphone. It is primarily designed for studio use, but it might have a few applications for live sound like Overheads for drums or for a string section. This microphone requires phantom power, so make sure your mixer/interface can supply phantom power before you purchase the microphone. The microphone outputs to a standard XLR cable. The microphone comes with a custom shock mount holder that is really easy to use. Getting the microphone setup is as simple as plug-and-play. 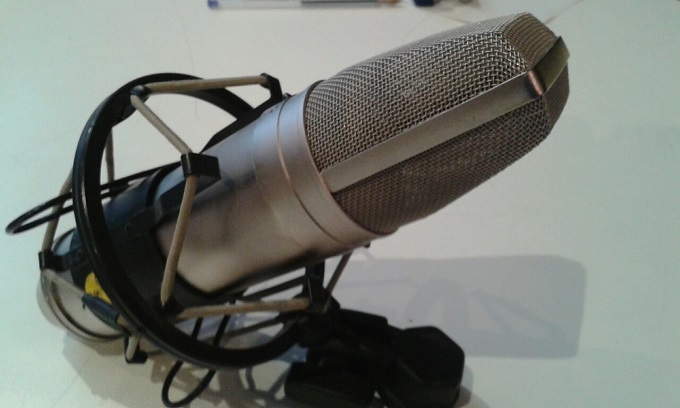 The Rode NT2 is an inexpensive microphone. It cannot compare to anything in the $1000+ price range. But compared to microphones in the $100-$500 price range, it has a lot to offer. This microphone definitely emphasizes the high frequencies that is picks up. If you have a problem with your recordings sounding dull and dark, this microphone will give your recordings some extra top end. The microphone is definitely clear, crisp, and even possibly too sharp in the high frequencies. Basically you get what you pay for: you could buy a $200 microphone that sounds dull, or you could buy a $200 microphone that sounds sharp. This microphone is great for project/apartment/bedroom studios. Unless you have an acoustically treated environment to record, buying a $2000 U87 would be a waste of money. 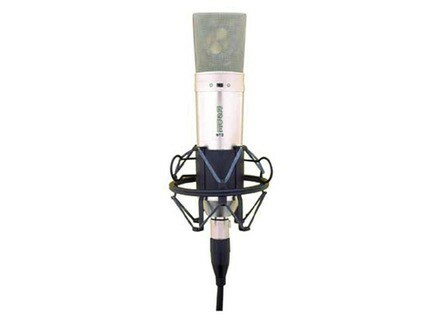 Every studio, from amateur to professional needs a solid large diaphragm condenser microphone. The NT2 is the perfect microphone if you are just getting started in recording. I recommend buying a pair of them because there are a lot of situations when stereo micing is necessary. I have owned two of these microphones for over 5 years. They are very reliable, always work and I have never had to worry about them breaking. I take pretty good care of them, but I use them almost every day. I can say if you use them how they are supposed to be used, they will last a long time. 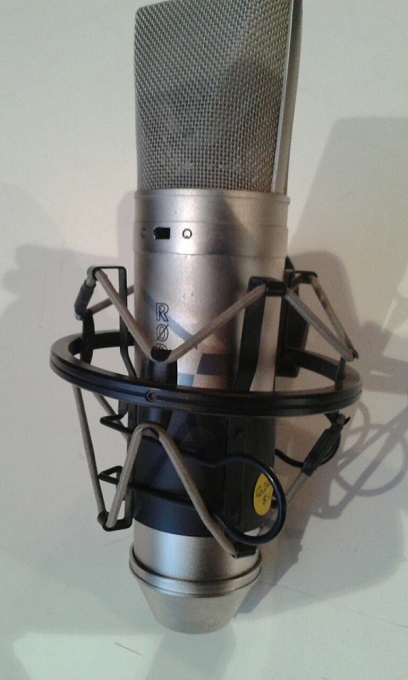 The Rode NT2 is a condenser mic that I have used for years off and on now for some vocals from home. I still do own this mic but I take it around with me more. It has become more of my traveling mic since I have other mics at home that I wont take around with me. One good thing that I got with it was a case, I am not sure if they all come with cases because I purchased mine used and the person I got it from had a small carrying case for it which makes it easy to take around and keeps it safe from scratches and or getting damaged which can happen very easily with mics. There are some small issues with the mics performance which to the naked ear (the person who doesn’t know a lot about recording and mastering songs) others wont hear. But I feel my ear is pretty good and I can tell when something isn’t right with recording. It seems like maybe the pre amp isn’t very good and it will present some issue’s with this mic. Don’t expects to get top notch high quality studio masters when using this mic. You wont see this mic in any major studio’s , it is more for the home recording musician who is laying down demo’s. It will give you a good enough quality that you can play it back and be satisfied or let some of your pals and family hear what you recorded but I wouldn’t take it much farther then that. I wouldn’t send out demo’s to record labels or anything with this quality. It just isn’t good enough for that. But for home its perfect, or it music is just a fun hobby you enjoy and you don’t need an expensive condenser mic, then this will be perfect for you. I found this very micro way, even with some really nice preamp (Focusrite low end), but since I ART MPA GOLD I rediscovered the NT2! While it is true that it is not very versatile and it will not AT ALL with all preamps, but frankly I think it's a good little microphone. I have for a long time and I've never had a problem. If it is associated with the services of a warm and sweet treble preamp (not forcment overpriced, for the case of Gold Mpa) it makes the downright! I'm looking for a second in good condition, pasque on the piano with the MPA is the killer! for the price! modtendo's review (This content has been automatically translated from French)" a top choice!" Microphone that has been proven for a long time, choosing the type of record by push button, very dynamic and accurate with a grain that leaves no one indifferent and great value for money! I had the opportunity in the past to use multiple microphones, and although it holds a candle to the microphones of this type "high-end" often at astronomical prices ... Well built, solid and reliable it is a big hit in home studio (rendered in stunning mix ).